Next to Normal is a musical about a not-quite-normal family trying to hold itself together. Diana, a stay-at-home mom struggling with bipolar disorder, attempts to juggle the chemicals in her brain with her reality at home. Her husband, Dan, works hard to pretend that everything is fine. Their seventeen-year-old son, Gabe, is very close to Diana, while their sixteen-year-old straight-A-student daughter, Natalie, feels ignored. At times, it is difficult to determine the differ­ence between reality and what is happening inside of Diana’s head. 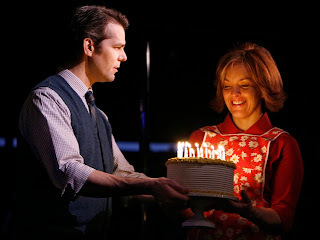 While Next to Normal has hilari­ous moments, it does not shy away from bringing up truths. Diana’s struggle with mental illness and Dan’s attempts to save their marriage were so emotional that I choked up a few times. Natalie’s rollercoaster into drugs and depression was simplified a bit too much, almost to the point of being cliché. Perhaps if she had been the main character, she would have seemed less like a health teacher’s imper­sonation of a teen. 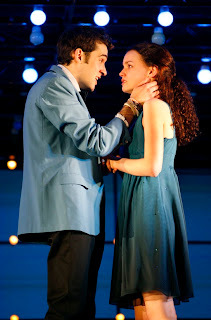 Next to Normal is deep, genuine and comedic. If you are a fan of rock musicals (hint, hint, Spring Awakening), don’t miss this show! HOW TO SEE THE SHOW: $25.00 general rush • Booth Theatre, 222 W. 45th St. • Visit www.nexttonormal.com for more information.